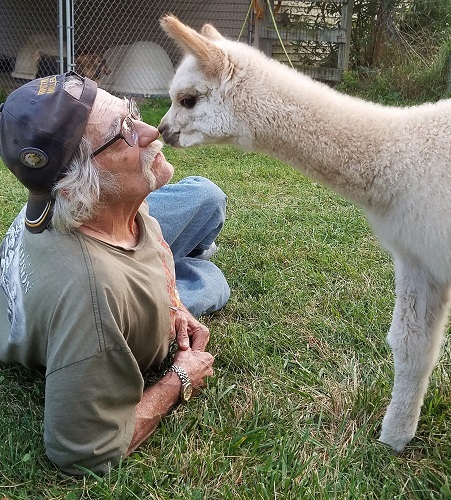 Colt's dam, Tiramisu was one of our foundation herd alpacas purchased from Alpacas Of America. 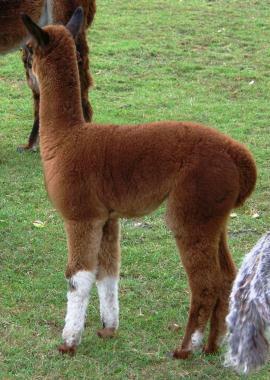 She provided us with our best True Black herdsire (sired by a grey), a light fawn female, and this striking, medium brown male with white socks and black tips on ears and face. 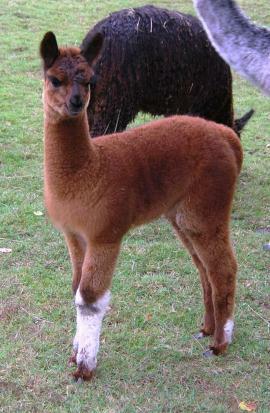 He was 18.6lbs at birth with 1587 IgG, and gained weight at almost a pound per day the first month, a VERY healthy cria. At one month old he weighed 36 lbs. Zipping around the pasture, he reminded us of a little race horse, thus the name Colt. 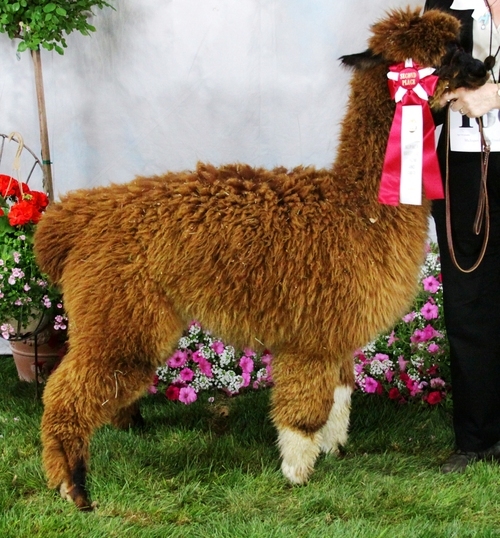 In Colt's first and only show he placed Second in a class of five. 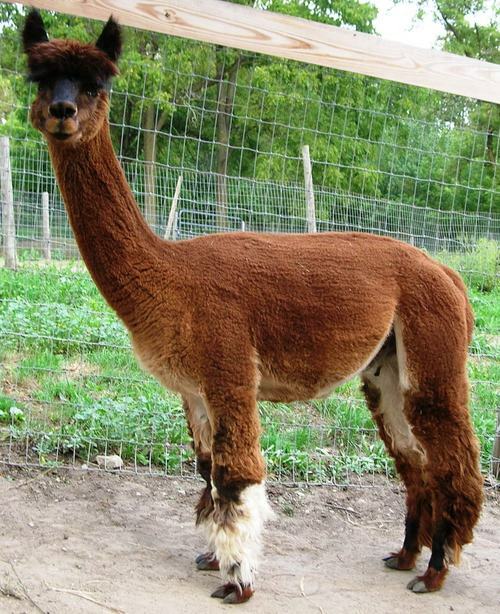 The judge commented on his solid frame, correct jaw placement, and above all the fineness of his fleece. This is a soft, dense, nice fibered boy who consistently regrows upwards of 3 inch staple length even at 5 years old with a gentle personality. Colt is a Royal Fawn grandson, sired by Snow Blind, a white male and 3/4 Accoyo. Both of these outstanding studs are now deceased. On his dam's side he is close to some of the finest imports to this country with the added genetic diversity of suri genes behind his grandmother. 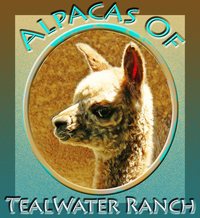 If you're looking for a male with color, personality, and buttery soft fleece, come take a closer look at Tealwater's Colt.